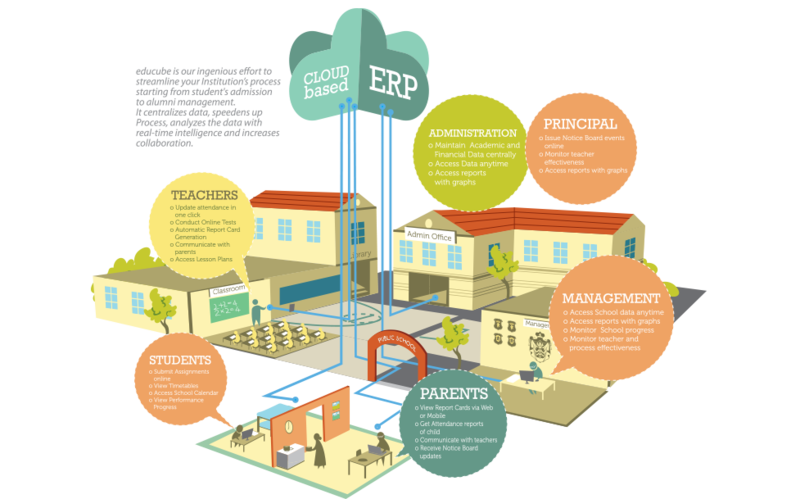 Educube™ ERP is mobile responsive! It can compatibly be browsed in mobile, tab, laptop and desktop browsers. The layout would change based on screen size for better browsing experience. combine to run on a single database, allowing the user from any department to quickly communicate. deployed on one of the world’s best cloud platforms - IBM Cloud. modular solution, which helps administrators and teachers to build their own reports and forms on the go. and swift response to users.